A group of members and partners meet every second Wednesday from September to March at Curl Aberdeen, Eday Walk, Aberdeen. 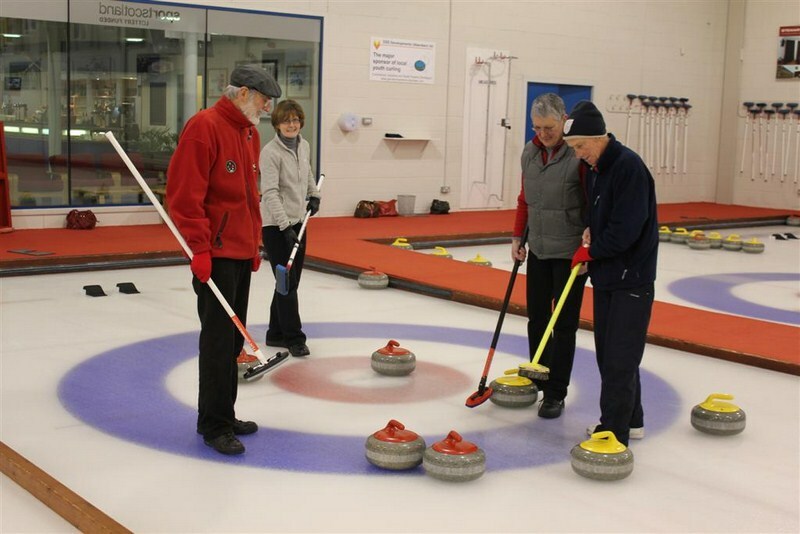 These sessions are open to all interested RNUC members, no matter at what stage their Curling happens to be - from beginners through to the quietly competent. Eight ends are usually played with all players having a chance to be Skip; so not too serious. The ice is booked on Wednesdays from 10.00 till 12.00 and normally two sheets are used, enough for 16 players. The cost is roughly £8.00 per session.